Fiserv (NASDAQ: FISV) and First Data Corporation (NYSE: FDC) today announced that their boards of directors have unanimously approved a definitive merger agreement under which Fiserv will acquire First Data in an all-stock transaction. The transaction unites two premier companies to create one of the world’s leading payments and financial technology providers, and an enhanced value proposition for its clients. Grainger will help you get the job done with thousands of brand name products you know and trust. As a BPAA member, you receive substantial discounts on a wide variety of products including lighting, janitorial, ventilation, material handling, motors, electrical supplies and miscellaneous. Restaurant Technologies - Total oil management systems handles the entire fry oil process from ordering, storing, handling and recycling of used oil. Freepour - a beverage management system that will reduce waste and theft in your bar. Capabilities of integrating into your POS system. Reporting that can drastically reduce costs. At SYSCO the personal approach to your business is supported by an extensive team of product, business, quality and culinary experts. Experience the benefits of partnering with the best in the industry. SIG has one of the most experienced teams in specialty insurance, composed of members with a wealth of knowledge willing to push the envelope on coverages. Call (817) 385-8405 or browse this site to learn more about BPAA member benefits. It pays to belong. *Applies to new members only. Certain terms and conditions apply. 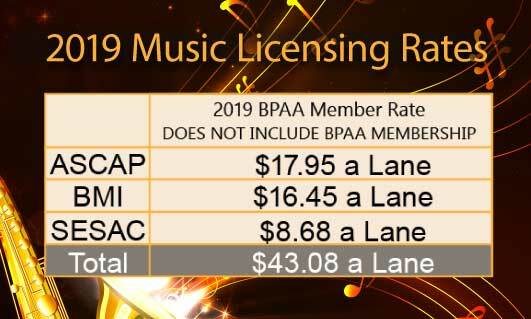 Contact BPAA for details. to bring our members these new partners. Train more be more with Bowling University. Easy bowling websites, email, & hosting. Discounts & rebates on thousands of related products.